Mass killings, massacres and general culling; butchering made normal, sanctified by State practice, and the scientific establishment. This is the killing of Australia’s national symbol, reviled and idealised in various measures, but generally considered, from those away from urban centres, a remote if attractive oddity. Barry Humphries, arguably Australia’s greatest comedic export, did not see his first kangaroo till he went to London Zoo. Such is the way of symbolic fauna and the divorce in Australia between humankind and animal. With the release of Kangaroo: A Love-Hate Story, the marsupial has reached an international and indignant stage. A good deal of violence is portrayed of what the makers Michael McIntyre and Kate McIntyre Clere call a “disappearing resource”. Greens Senator Lee Rhiannon, and NSW Animal Justice Party state MP Mark Pearson, went along with the documentary’s premise, and linked it to a promotions tour in visiting Brussels. They hardly needed to, given the rumblings the film has produced. Audiences have found the stress in the film appealing. The US market has been particularly enthusiastic, being the second largest consumer of the animal’s various parts. Varying degrees of enthusiasm and revulsion have been expressed to the use of the kangaroo, from meat to merchandise. In 1971, the Californian penal code was amended to criminalise the importation, possession or sale of any part of the animal. The lifting of the ban in 1981 did not spell the end to debates on the consumption of the marsupial, or its use in products. In 2007, Vegetarians’ International Voice for Animals targeted Adidas with a lawsuit claiming that the company was using some kangaroo in its leather products. Animal Aid director Andrew Tyler then claimed that the company’s “use of kangaroo skin is inexcusably cruel.” California again took the lead, banning the sale of kangaroo products. The response from Australia’s kangaroo management industry has been one of marketing and regulations. Many meat processors, for instance, refuse to buy female carcasses, seeing that image as unsavoury. The mode of killing kangaroos is also specified by regulation: a shot through the brain inflicting instant death. Not so, claimed Fiona Simson of the National Farmers Federation, who considered the film as nothing less than slanderous. “There is a lot of misinformation around kangaroos and how we treat kangaroos in Australia.” Kangaroos were “dear” to Australians, and for that reason, certain “facts” had to be placed on the table. Such facts focus on numbers, though the statisticians are not at one on this. Leaving aside the sanguinary spectre, kangaroo numbers were thriving – a near 50 million. For Simson, the film had employed “the shock tactics of extinction of our national emblem”. Distortions had entered the account. Dr. George Wilson of the Australian University School of Environment was similarly dismissive of the film. Most of the kangaroo population of Australia tended to be found on private land rather than “some big national park”. The implicit assumption of such language is clear: such animals may well be permitted on such land, with the proviso that they might be culled accordingly. The film does not portend to be anything other than polemical, though it does gather a host of views from such individuals as ecologist Ray Mjadwesch. Numbers, argues Mjadwesch, are simply not as large as is stated. Killing methods are also dangerously close to being mismanaged. 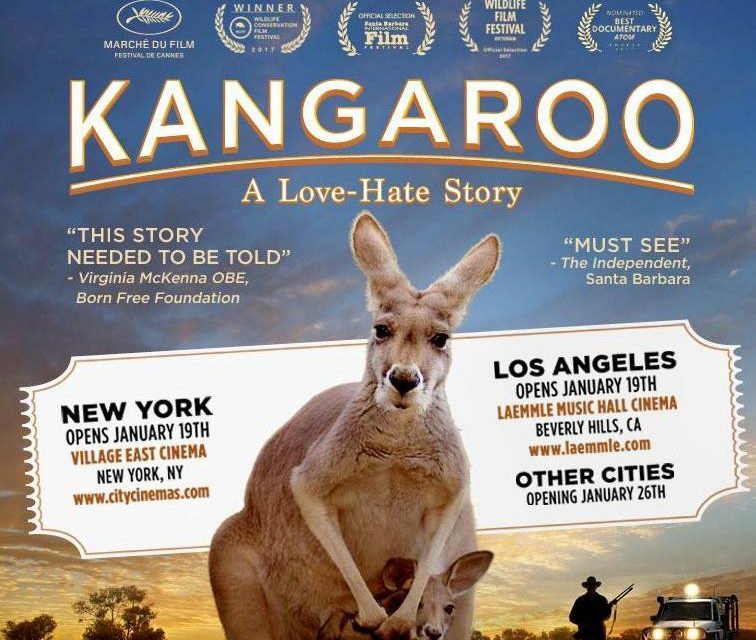 All in all the target of the film is clear: the $200 million kangaroo industry. But what it does demonstrate is the troubled relationship the inhabitants of Terra Australis have with an animal species that is worshipped in the abstract. In practice, the perception is harder and less sentimental. Brutal, dry environments; farming communities at war against anthropomorphised nature; the introduction of various techniques of ecological warfare against various animal species – all have produced a mentality of disposition and destruction – and not just for the kangaroo.